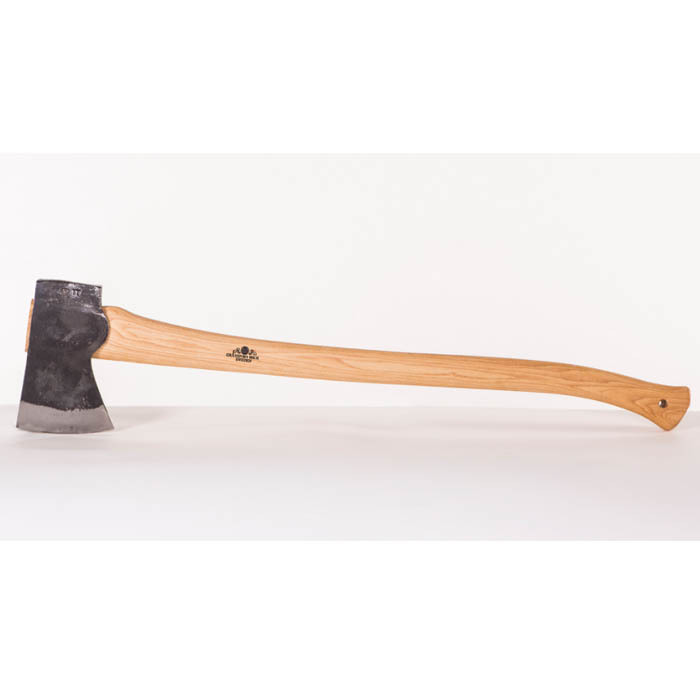 Gransfors American Felling Axe, the American Felling Axe is a really great addition to our range for easy felling and wood craft. Gransfors is probably the Worlds most popular Axe manufacturer and for good reason. Each axe is handmade of exceptional quality materials and stamped with the makers mark. A professional axe for working in the same way as the “fallers” of the old days. Hand forged out of a solid piece of steel and carefully tempered and sharpened. This traditional American single bit axe was asked for by Geoffrey Burke, boat builder and axeman in New Hampshire. He and axe collector, Lawrence Lyford, put in a lot of effort to help Gransfors build the right model. The face is 4 1/2 ".